Practice One was a slow affair to get started. As soon as the green flag flew, cars went out on basically an installation lap. Then they came back in and sat, while crews made what appeared to be fairly major adjustments to the cars. When they finally got going, there were no huge surprises. The speed chart contained all of the usual characters at the top. Will Power led the session with a time of 1:07.5987. Josef Newgarden was second and Scott Dixon third. But the big surprise was that Carlin’s max Chilton was fourth. Ed Jones was fifth quick. If you can determine anything from a first practice session of the weekend, it s that Chip Ganassi Racing may be hooked up, with their two drivers in the Top-Five. 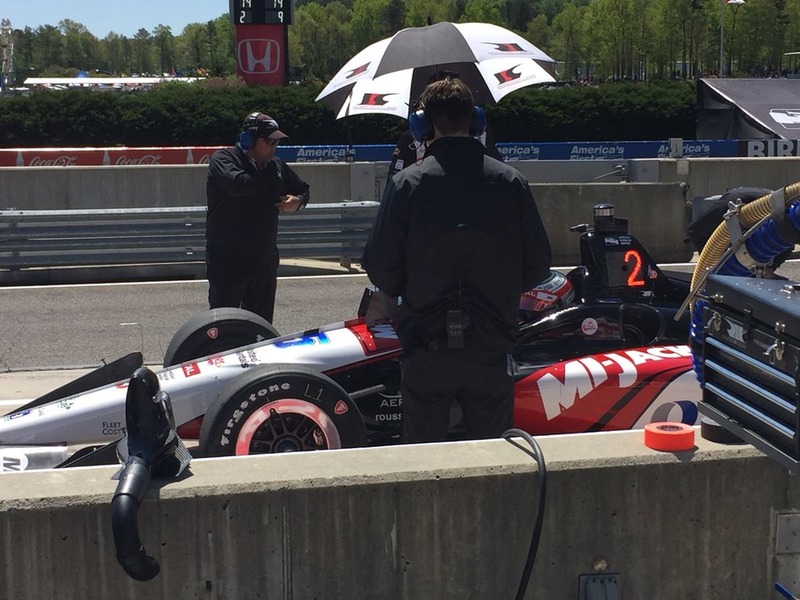 The rest of the Top-Ten (in order) was Simon Pagenaud, Jordan King, Graham Rahal, Sébastien Bourdais and Zach Veach. The only real surprise may have been that Veach being tenth quick, was the fastest of the Andretti Autosport cars. 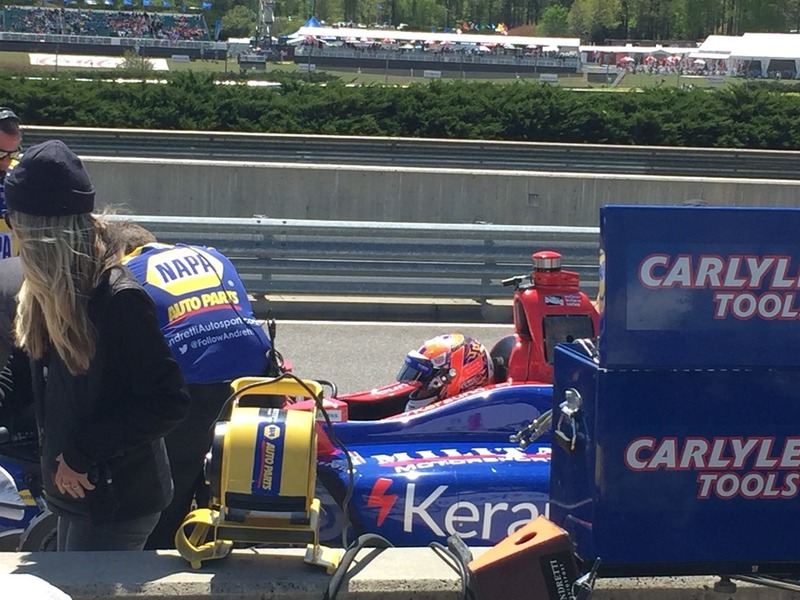 Marco Andretti was fourteenth, Ryan Hunter-Reay was fifteenth and Alexander Rossi was twentieth. They may not have been looking for speed in that first session, but if they don’t improve in this afternoon’s session – they might be in trouble. I’ll close with a video I took that was really an accident, but I found it kind of interesting – maybe just because it was a mistake. I was sanding next to Pit-In and took a video of Simon Pagenaud coming into the pits. What I didn’t realize was that I took it in Slow-Motion mode. I figured I’d share my mistake here. That will do it for now. Practice Two rolls off at 2:50 CDT. I’ve now learned that Susan landed safely in Nashville and is on her way here. Check back later after Practice Two. This entry was posted on April 20, 2018 at 1:50 pm and is filed under IndyCar. You can follow any responses to this entry through the RSS 2.0 feed. You can leave a response, or trackback from your own site.